Thanks, and yeah, I’m working on more. Very Nice and Congrats. I just picked up that issue! Very nice article which is how I found your blog. Also very bittersweet in light of Geoff’s passing. Congrats, I noticed the website plug at the end of the article. Very well done article! 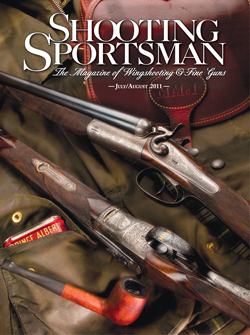 Gregg, I came across your article in Shooting Sportsman today and was led to your blog. I am glad to hear that you are among the many satisfied discriminating sportsmen and women who have purchased a pup from us at Autumn Memory Kennels. Of course, this is especially gratifying since we are not a commercial kennel, merely lovers of top notch bird dogs. Please tell your friends that we have a beautiful litter of five week old pups out of double hall of fame bred Swami’s Phantom Lady. More on her on our website, http://www.autumnmemorykennels.com.